In Hollywood, Kevin Hart is one of today’s top comedic actors, stealing scenes regularly from heavyweight co-stars the likes of Dwayne Johnson and Will Ferrell. On stage, he is stand-up comedy’s undisputed champ, selling out shows around the world and has been cited by Forbes as the highest-paid comedian, outshining even Jerry Seinfeld. His charm and wit have allowed him to make others smile since he was a young boy, even when his childhood, driven by his overprotective mother and mostly absent father, didn’t always afford him the same joy. 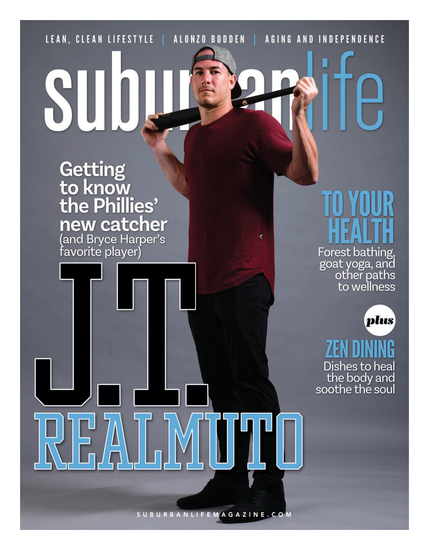 But, if nothing else, his experience growing up in the rough streets of North Philadelphia taught him to never give up on his dreams. Hart is concrete proof that with grit, determination and a strong belief in yourself, you can carve out your own path to success, despite humble no-frills beginnings and plenty of obstacles. The 38-year-old was born to a “strict, hard-working, bossy single mother,” and a “charming, funny and optimistic,” but truant father, and yet, for him, it turned out to be a winning combination. By mistakes he means, among other mishaps, bringing him gifts that were not properly purchased and were immediately confiscated when his mother found out. He explains in his clever and hilarious 2017 best-selling memoir, I Can’t Make This Up: Life Lessons, that after his father, Henry, and older brother’s repeated run-ins with the law, his mother worried that these and other peer influences would harm her impressionable young son. So, she made sure that he had no idle time that could allow him to get in trouble. Instead of hanging around the neighborhood with friends after school, she insisted that he go to basketball practice and join the swim team and kept an eagle eye on him. His mom, often described by Hart as both loving and intimidating, was around to see her son’s star rise. She died of cancer in 2007, and he has followed in her footsteps as a doting, protective and loving father of three children of his own. After graduating from high school, Hart’s first paying job was as a salesman at City Sports on Walnut Street in Center City and his charming, witty and engaging personality gave him a big boost. He began pursuing a career in stand-up comedy after performing at an amateur night at a Philadelphia club. At the time he could barely afford to share an apartment with a friend or buy nice enough clothes to impress the girls he met, but that would soon change. Starting out in stand-up comedy Hart was well-served by his strict upbringing. His strong work ethic, tenacity and perseverance got him over the hump. Hart’s first gig was in 1998, at age 19, at the former Laff House on South Street under the name of “Lil Kev.” Things did not go well. His career suffered a slow start, as he was booed off stage repeatedly, once even having a piece of chicken thrown in his direction. After an early period of attempting to imitate other comedians, he found his own rhythm by delving into his insecurities and life experiences, which has led him to become the superstar he is today. His sage advice to anyone embarking on a difficult career choice: “Stay true to your dreams regardless of what you’re told along the way. Nobody knows you better than you, and take advantage of, and appreciate, what’s given to you,” he says. “I think it’s so [amazing] that I’m responsible for bringing joy to peoples’ lives. If I can make people smile, I’m making the world better in my own way. So, that’s what kept me going during the tough times. Coming home a conquering local hero has been more than a thrill for Hart, and a true example of this was last July 6, his birthday, which was dubbed “Kevin Hart Day” in the city. Along with his son, he attended the celebration in North Philadelphia which included the unveiling of a giant mural created by Mural Arts Philadelphia, just steps from his childhood home. The mural shows Hart’s likeness and the three words that encompass his philosophy: Live. Love. Laugh. 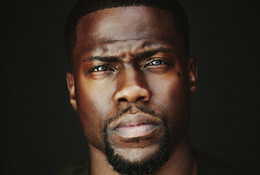 He spoke, with true gratitude, during his special day about his love for the neighborhood that shaped him, saying he was “blown away” by the recognition, and it is more than likely he will return home for “Kevin Hart Day” this July. In the meantime, Hart is a busy guy who has standup dates, numerous movies and other projects going on back to back. Among his memorable humorous and animated movies are: Central Intelligence, Ride Along, Grudge Match, The Wedding Ringer and The Secret Lives of Pets. One of his recent movies, Captain Underpants: The First Epic Adventure, an animated superhero comedy feature film based on the best-selling children’s novel series of the same name, by Dav Pilkey, was the perfect vehicle for Hart’s comedy. There’s no denying that Hart’s star is shining bright these days. Hart is in the midst of an impressive run that will see him on stage from now through Thanksgiving. Area stops include Boardwalk Hall in A.C. on Memorial Day Weekend, Camden in mid-July and Philadelphia in late November. Dubbed the “Irresponsible” tour, it’s easy to gather that audiences can expect him to address the headlines he made late last year after being allegedly extorted by a person claiming to have footage of him being unfaithful to his wife Eniko Parrish. The tour is already selling out, but that’s nothing new to Hart. In 2015, he became the first comedian to headline and sell out an NFL stadium (The Linc). After that, he hasn’t looked back and gone on to regularly sell out arenas and stadiums from Orlando to Oslo. It was always part of the plan, even when that plan seemed destined for failure. Hart has a daughter, Heaven, 12, and son, Hendrix, 9, from his marriage to his first wife, Torrie. He and Eniko welcomed their first child, a son, Kenzo Kash, last November, and the proud papa has been seen on television and in magazines cooing at his infant son. After all of the roller coasters in his personal and professional life, Hart says he loves that the power of comedy brings people from all walks of life together.